Sixteen is the age of excitement and disbelief that the child you once new is all grown up. 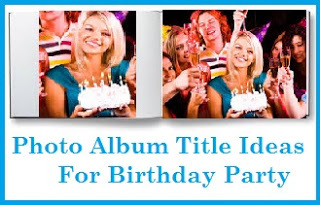 Add to their excitement to celebrate their birthdays with witty yet wholesome greetings on their birthday cake. Here is a list of unique collection of 16th birthdat cake wordings. 1. You have grown up so fast! Happy 16th birthday to you! 2. You're growing up gracefully! Happy 16th birthday! 3. You're a young woman/man now. Have a wonderful birthday! 4. Enjoy your freedom and be smart. Happy 16th birthday! 5. Look what 16 years did to you! You're a lovely young woman now. Happy birthday! 6. Have a wonderful 16th birthday my dear! 7. Enjoy your teenage years! Happy 16th birthday! 8. Have a blessed 16th birthday my dear! 9. I'm so proud of you. Happy 16th birthday! 10. Looking fab at 16! Happy birthday! 11. Happy 16th birthday! Enjoy your youth while you can! 12. Enjoy this incredible year! Happy 16th birthday! 13. 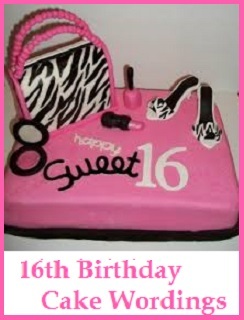 Hope you'll have the sweetest 16th birthday! It happens only once you know. 14. 16 is a great age to be in. Live it up! Happy birthday! 15. May this day be extra special. Happy 16th birthday! 16. Fun things are just starting for you on your 16th year. Happy birthday! 17. Happy 16th birthday my princess! 18. Wishing you a 16th birthday full of unforgettable memories! 19. Have a lovely 16th birthday! 20. Have an amazing 16th birthday! Make this the best year of your life!